Time once again for my annual list of best albums. As you can tell, I’m something of a music junkie. Most years, it’s something of a challenge for me to narrow down my favorite albums. Not the case this year. For one, there simply weren’t that many great releases. But if the year was lacking in quantity, it more than made up for with quality. The top two releases on my list stand head and shoulders above the rest of the music landscape this year, in my opinion. Disclaimer: You won’t find Kanye or Jay-Z on my list. Same goes for Miley, Robin Thicke, Lady Gaga, or Katy Perry. If 2013 proved anything, it’s that commercial success is usually a poor barometer of depth of artistic expression. Once again, just my opinion. In 2013, I was moved by one album in particular, a recording that resonated with me as deeply as anything I’ve heard in the last ten years. More than anything else, my lukewarm assessment of most of 2013’s new releases is a testimony to the monolithic presence of this album. Simply put, I haven’t wanted to listen to much of anything else this year. Jason Isbell, Southeastern. In years past, some of my favorite albums have veered deeply into over-earnest territory: think Coldplay, The Avett Brothers, and Mumford & Sons. 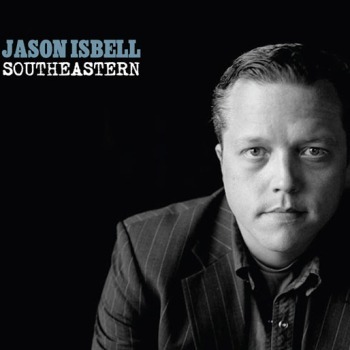 This collection of songs by Jason Isbell, formerly of Drive-By Truckers fame, provides something of a course correction. Southeastern is raw, honest, and unflinching. Recorded in the wake of Isbell’s alcoholism treatment, Southeastern emerges as a clear-eyed rumination on living with your demons, sometimes successfully, sometimes not. Take Live Oak, for instance, the heartbreaking plight of a pre-Civil War wanderer trying to outrun his ghosts. Isbell narrates, “There’s a man who walks besides me, he is who I used to be / I wonder if she sees him and confuses him with me.” Let’s just say the story doesn’t have a happy ending. Isbell laments self-inflicted isolation on Traveling Alone and Songs She Sang in the Shower, while Yvette gives voice to an impulse for vigilante justice in the face of domestic violence. Lyrically, this album is a master class in storytelling through song. The characters that inhabit these songs are fully realized, capable of both redemption and iniquity, virtue and vice. But it is the depth of emotion that makes this album so richly resonant. Cover Me Up has moved me more than nearly any song this year; it is Isbell’s ode to love that endures and lives to tell about it. That same sentiment moves through Relatively Easy, the album’s closer. By the time you arrive at album’s end, a refrain like, “Here with you there’s always something to look forward to / My lonely heart beats relatively easy,” doesn’t sound trite; it sounds believable. Warning: there are some songs on this album that may offend your sensibilities. And the backing band is merely pedestrian. But lyrically, you’ll not find a more affecting record this year. Download This: Cover Me Up, Relatively Easy, Traveling Alone, Stockholm, Live Oak. The National, Trouble Will Find Me. For years, The National have been putting out richly complex albums, songs that layer copious amounts of string, percussion and shimmering electric guitars atop Matt Beringer’s oaken baritone. 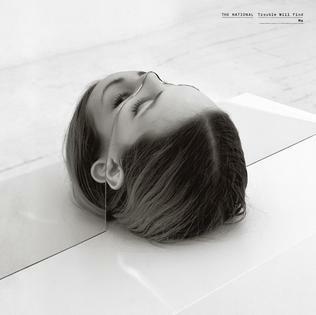 This has actually been something of a problem for The National: the sonorous mass of sound requires multiple listens to unravel, which means each of their album’s becomes something of a slow burn. But the way I see it, each of these atmospheric songs represents a treasure trove for those who would invest the time. Beringer’s paradoxical poetry continues to control the narrative in a way that feels familiar: as with most National releases, there’s plenty of metaphor and existential angst and forlorn expression here. Trouble‘s cast of characters search for meaning while contemplating the fleeting nature of love and the omnipresence of grief. What’s different on Trouble Will Find Me is that these vignettes have never sounded so tuneful. If Isbell’s Southeastern is the most lyrically brilliant record of 2013, then Trouble is the most sonically arresting. Heavenfaced, Graceless, and Hard to Find are bound to infiltrate your brain’s playlist. This album might go down as The National’s finest and most commercially viable album. How’s that for irony? Download This: Heavenfaced, Graceless, Sea of Love, Hard to Find, Don’t Swallow the Cap. The Head and the Heart, Let’s Be Still. I was really excited about this release from one of my favorite up-and-coming bands. I think this album could benefit from a little more editing; it seems about 2 songs too many. That being said, this was a solid effort from top to bottom. They’ve retained their signature harmonies while expanding their musical palettes somewhat. I expect big things from these guys. Download This: Let’s Be Still, Josh McBride, Fire/Fear. Vampire Weekend, Modern Vampires of the City. I’ve seen this one showing up on plenty of Year End lists. I’ve been a fan of these guys for a long time, although I have to admit I’m not literate enough to get all of their lyrics. But I know this: this is the best batch of songs this band has put out to date. Download This: Dianne Young, Don’t Lie, Step. Arcade Fire, Reflektor. Although I love me some Arcade Fire and I was really looking forward to this release back in October, I’ll say the same thing I said about the new Head and the Heart album: sometimes less is more. Clocking in at 90 minutes, this double album is just too unwieldy. But there are some really great songs here. As always, Arcade Fire swings for the fences, this time with a Haitian-tinged dance record. This result is pretty impressive. Among the albums listed here, this is the one with the greatest potential to rise with repeated listens. Download This: Here Comes the Night, Reflektor, Afterlife. Kings of Leon, Mechanical Bull. Best pure rock album of the year. Supersoaker reminds you why you fell in love with this band in the first place. And Beautiful War is one of the best songs I’ve heard all year. A really fun listen. Download This: Beautiful War, Supersoaker. Daft Punk, Random Access Memories. I’m normally not this trendy, but I gave this album a listen back in the spring and I really liked it. I think Giorgio by Moroder is a theologically rich recording, one of the most eschatologically reflective songs of the year. But that one requires an in-person explanation. Just catch me sometime; we can discuss over coffee. Download This: Giorgio by Moroder, Give Life Back to Music. Josh Ritter, The Beast in Its Tracks. Ritter has settled into a nice little early career groove here. While he’s not quite the Millennial Bob Dylan everyone predicted, he continues to put out intellectually honest, imminently listenable folk-rock. Which is quite a feat in itself. On his latest, he sings of finding new love, as in A Certain Light and New Lover. In places, this album sounds like an extension of So Runs Away the World, which is a great thing if you ask me. Download This: Joy to You Baby, A Certain Light. The Civil Wars, The Civil Wars. It’s a shame these guys can’t work things out. Download This: The One That Got Away, From This Valley. The Lone Bellow, The Lone Bellow. It’s a shame these guys can’t get played on country radio. Better than 90% of the stuff that came out of Nashville this year. Download This: You Can Be All Kinds of Emotional, You Never Need Nobody. Noticeable Absence: The Avett Brothers, Magpie in the Morning. I’m a big fan of the Avett Brothers. I’ve seen them in concert 5 or 6 times. So I mean this in the most constructive way possible. But this album is awful. Never should’ve been made. Other than Open Ended Life, there is nothing here worth listening to. And again, I’m a fan, which means I’m LOOKING for things to like about this album. But I can’t fake it. I’m just going to pretend this album doesn’t exist; instead, I prefer to think that they released Open Ended as a single on the yet-to-be-released Gleam III. There you have it. That’s the list. I’d love to hear your thoughts. This entry was posted in Music and tagged Arcade Fire, Best Albums of 2013, Daft Punk, Jason Isbell, Josh Ritter, Kings of Leon, The Avett Brothers, The Civil Wars, The Head and the Heart, The Lone Bellow, The National, Vampire Weekend. Bookmark the permalink.